If you need to change your credit card, you will first need to cancel your membership by clicking here. Once your cancellation has been processed, go to your member area, click on membership and you will see the option to renew after your membership has expired. 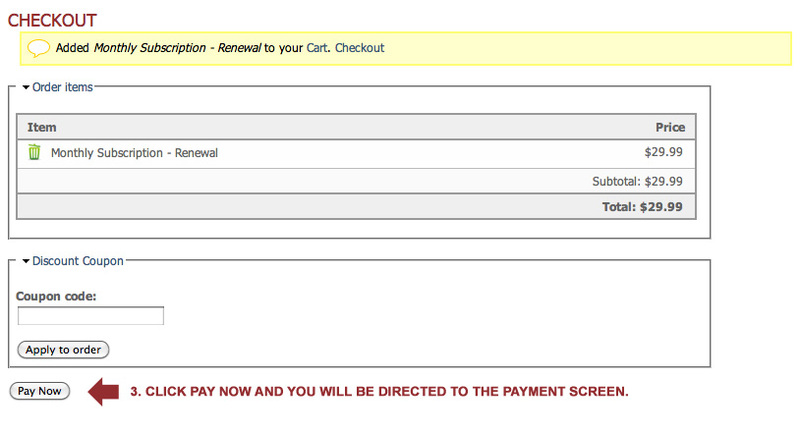 Click renew and it will take you to the checkout page. Click Pay and it will automatically direct you to the screen to put in your new credit card information. After you enter your new credit card information, you are all set. There will not be an interruption of your access unless you payment is past due. If it is past due, as soon as you renew with a valid credit card, you will be granted instant access back to your videos.